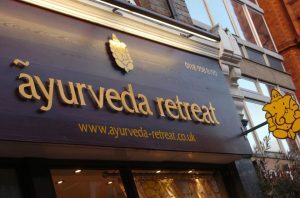 Ayurveda Retreat is based in Reading town centre next to Nando’s on Friar Street, meaning we are easy to reach via rail, road or foot. 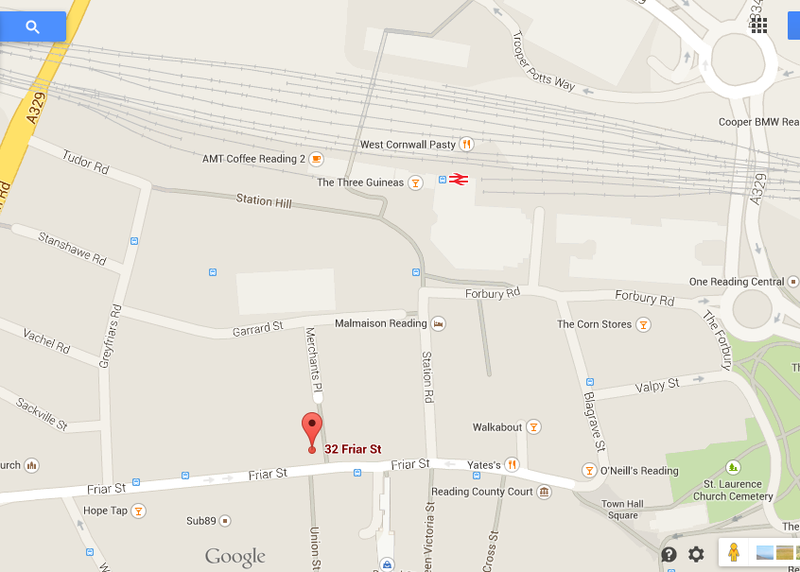 NCP Garrard Street – this car park is less than three minutes’ walk from where we are located. The parking cost is £3.50 for the first hour and £7.00 for 1-2 hours. Subject to availability, however, we can provide you with a voucher that will cap your parking charge at £6.50 for the day (at this car park only). Please ask at reception for a voucher, before departure. Reading Railway Station, which is approximately a five minute walk away, also has a large car park. The Oracle shopping centre has two car parks which are approximately seven minutes’ walk away. Reading Railway Station is located approximately five minutes’ walk away. Bus stops for services 9, 17, 27, 28, 137 and 138 are located less than a minute’s walk away.